Two Types of Happiness and Their Effects – Kathy J. Marshack, Ph.D. Throughout our lives we experience happiness to varying degrees, from being mildly pleased to being wildly ecstatic. A recently released study shows that the reason why we are happy is important. A group of scientists have been studying the impact that positive emotion has on our physical and psychological well-being. They recently released their findings and the results are surprising. They found proof that the type of happiness you experience changes you at the cellular level. 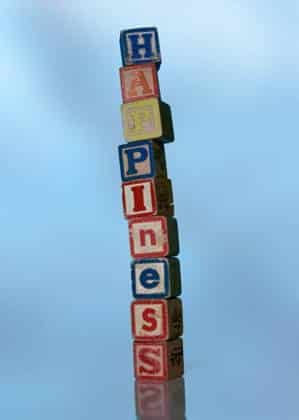 What does it mean by “type of happiness”? In the study they classified happiness into two types: hedonic (pleasure from instant gratification) and eudaimonic (pleasure from working toward the greater good, a sense of meaning in life or purpose). While both types of happiness have positive effects on a person, eudaimonic happiness does greater good for you on the cellular level. It tells your genes to produce a lower level of inflammatory proteins and more antiviral and antibody proteins. This has a good affect on your body. If you have prolonged stress, your white blood cells make more pro-inflammatory proteins. In the short term, this is a defense against infection. But over time this inflammation can cause damage to healthy tissue. What does all of this mean? In part, it means that a person who strives to be happy by giving to others and living a meaningful life will be healthier than people who are focused on pleasing themselves. Not too surprising is it? But now we have scientific proof that it’s true. There can be a number of reasons why a person doesn’t feel happy – emotional stress, family pressure, environmental toxins, biochemical/nutritional imbalances to mention a few. If you’d like to take a more proactive approach to finding meaning and satisfaction in you’re life, you can work with a mental health professional to set meaningful goals. Contact my office and set up an appointment if you’re near my offices in Portland, Oregon/Vancouver, Washington.